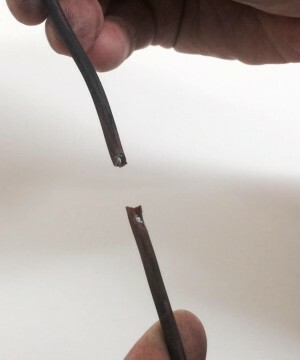 Melted cable discovered carrying out periodic electrical testing. 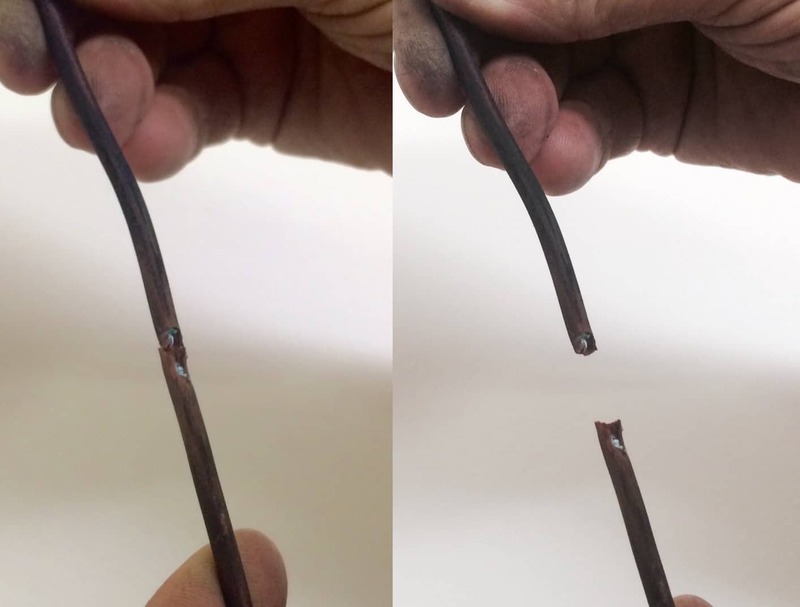 During recent electrical testing carried out in a centre for health in Hampshire this cable was found completely melted through inside a plastic conduit. The cable formed part of a ring circuit which had been added to over the years, some additions being fairly recent, and was now supplying multiple computer stations and a heater which had a sign saying ‘Please leave on’. The cable had got so hot it had also melted the earth cable running by the side of it. 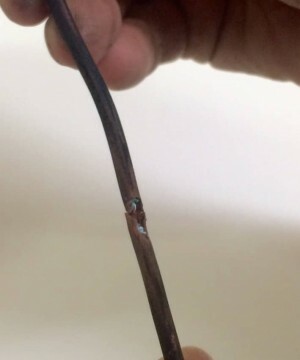 The cable itself had probably been damaged on installation in the 1980s and appeared to have melted some time ago. Which would beg the question; Why was the fault not discovered when additions where being made to the circuit? The photo below was taken whilst attending a call out to an industrial factory after the lights had stopped working. The lighting circuits themselves had been installed probably around three years previously. 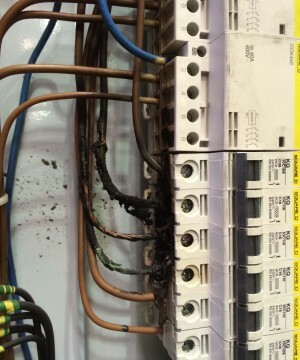 The terminations must not have been tightened correctly on installation and then got progressively loose over a period of time causing arcing, heat build up and then melting of insulation and distribution equipment. The factory housed a lot of wood and cardboard and the owners where very lucky that it did not all go up in flames. 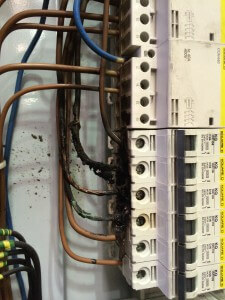 Melted wiring and switchgear inside industrial distribution board discovered while attending a lighting failure call out. A large percentage of fires in the workplace are from an electrical cause. Carrying out regular periodic inspections and testing of your electrical installations by suitably qualified engineers and completing the remedial works recommended can help to minimise the risk. 143,648 fires in hospitals and healthcare resulting in 412 casualties, including 4 fatalities. It is estimated that around 22% of the above statistics are related to electrical fires. The following video explains a bit more about electrical safety management and what you can do about it.